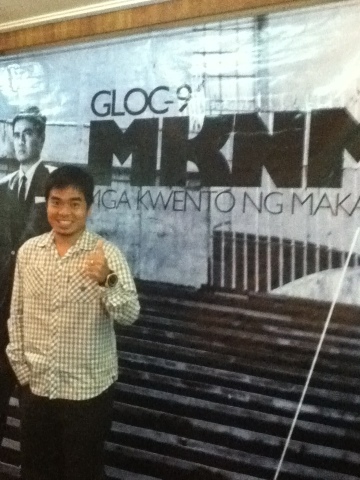 Gloc-9 one of this generations man of rap releases his first album under Universal Records entitled MKNM Mga Kwento ng Makata. The album is filled with songs which everyone can actually relate to. Sirena is the carrier single and has been playing in radio stations because for me it has the biggest impact in our society nowadays. The song Sirena pertains to a gay guy who, from his younger years have been beaten up by his dad because he is not acting the way a real man should. And because he was gay, people make fun of him and considered him as a big joke, but then in the end he was the one left to take care of his family and took the responsibility of being the man of the house. This song truly captured my heart since I have so many gay friends whom I personally know, how well they love their family and will do everything for them. Sirena is a reality song in our society today, some may be isulting the gay community but who would have known that most of them are just like all of us working to survive in this world we live in. 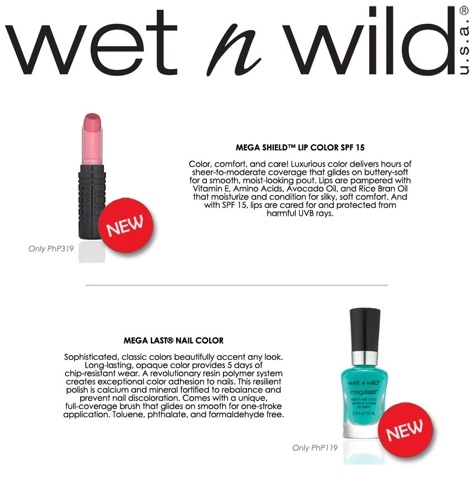 Wet n' Wild presents the latest from their line of beauty products. Be updated, get them now! Go! Ever wondered how tragic it is to be in a situation wherein you were kidnapped and helpless. Thinking about your family back home and how to be able to escape just to be with them? Your family thought that you were dead and they start to move on and after a few months you were identified to be alive. This is where everything starts for this film shot mainly in the beautiful place of Bohol, refreshing since we haven't seen Mr. Cesar Montano in a while, partnered with a very versatile actress Ms. Angel Aquino and includes the beautiful Mercedes Cabral. The film tacles maybe a simple story of family, career and love yet it is strong in character. Anything that happens to anyone within a family can affect everyone so I guess that is why the called it "Biktima"
The movie known to be shot in limited time only, delivered its message well, the story is about family and captures all the emotions in one, drama-comedy-suspense. Will definitely make you teary eyed, laugh and be shocked. 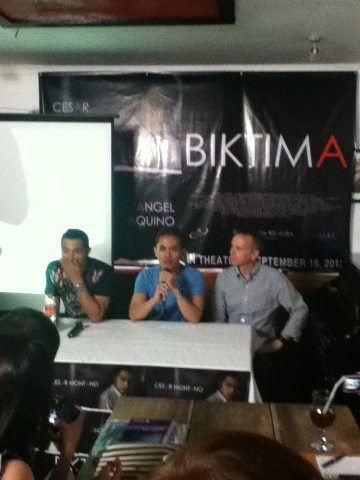 Directed by RD Alba and is currently showing Nationwide. 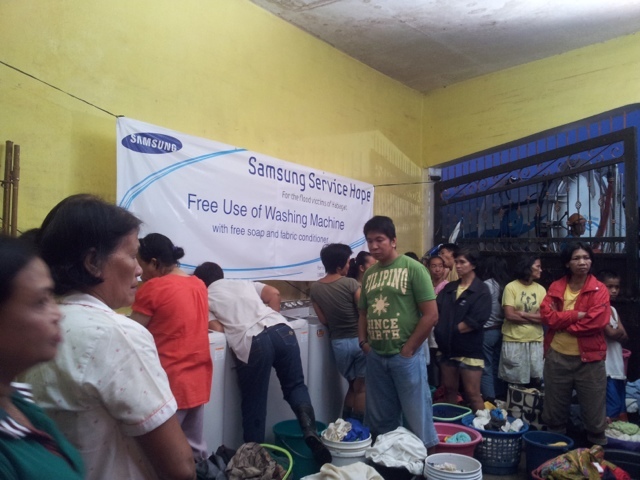 also visited the province of Pampanga to distribute relief goods. Simon. Several bags containing food and toiletries were distributed. 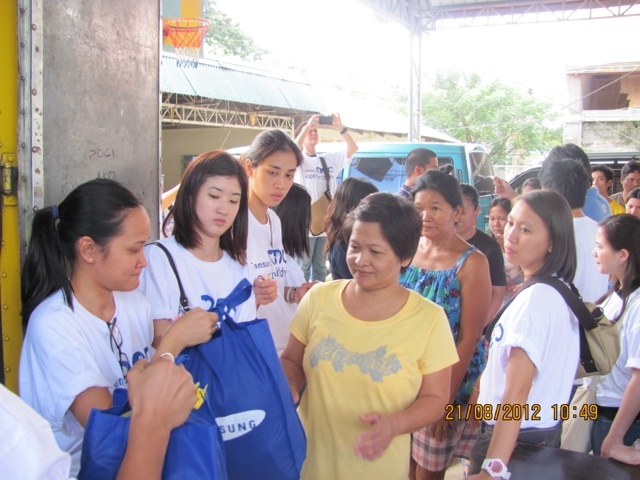 distribution of the relief goods. Another Star Cinema offering "The Mistress" tackles a sensitive issue that is really happening in our society. John Lloyd Cruz and Bea Alonzo stars in this very challenging roles, admittedly JLC said he had a hard time contemplating on his role because in real life his character is way far than who he really is. 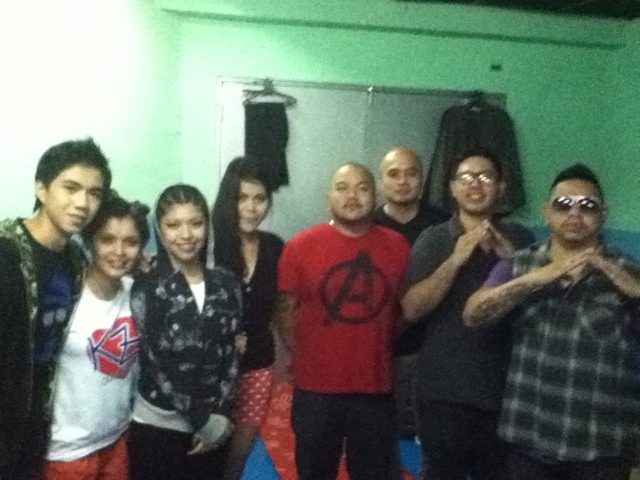 As per Bea, she was nervous but at the same time took this as a challeng and now proud that she made it. This is also a movie to celebrate the 10 years of the JLC-Bea love team, imagine that, what do they really have that whatever movie they did together was a hit? They answered because they are much more comfortable with each other and the communication is so good. Maturity is a plus now since the friendship has fully grown. The Mistress is now showing nationwide and people are raving about it. 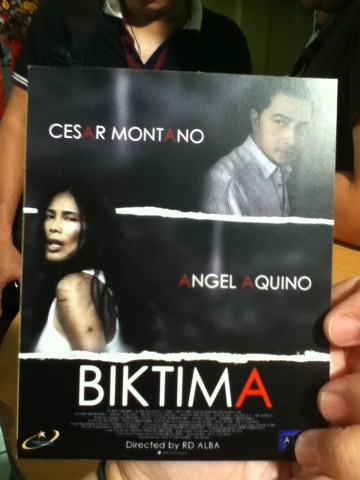 Truly another box office hit for Star Cinema. Congratulations! 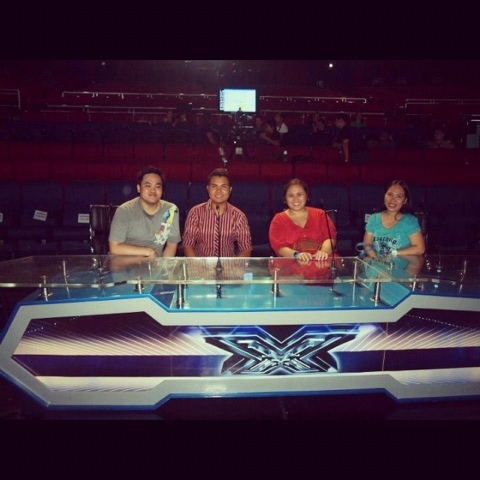 We were invited to witness, experience and meet the X-Factor Finalists. It was one big opportunity that I wouldn't want to miss. PAGCOR is the venue for the both the Live Performance Night that's held during Saturdays and Results Night on Sundays for the whole season. It is the perfect place for its comfortable seats, huge stage and good airconditioning. I was in awe when we were given the privilege to actually walk the stage and check out the Judges' seats, yes we sat down and took pictures. The stage gave me the hype, it feels differrent when you're up there with all the cameras, the people, and the lights, it was really a wow! We met some people behind the show, they were very warm and accomodating, sharing stories about the show, how it is done, and the emotional effect on them especially during results night. And of course we wouldn't miss the part of meeting the contestants in their holding room where everything is prepared from hair and make-up, their clothes and where they rest before the live performance. 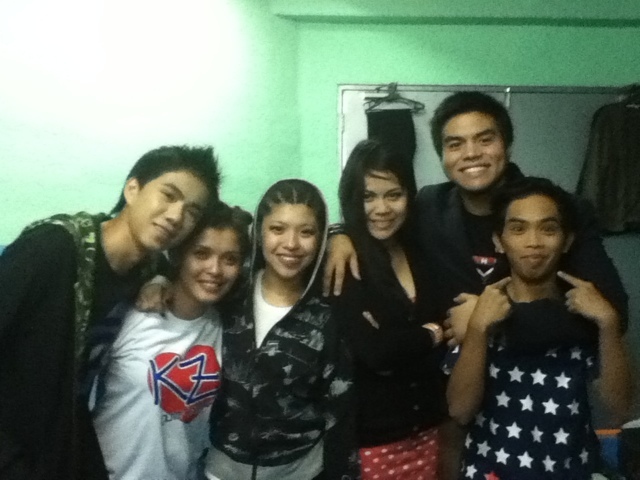 I must say, you will really feel their closeness and friendship despite the competition. Sharing their support for each other, how they hate Sundays now since it is the judgement night, knowing somebody would go home after. These kids are tough, facing a new life everyday, the pressure and stress the competition gives them and of course for those who are not from the city longs for their families. But they have to do it, be strong for their dreams. I salute them. Live Performance was the best, the crowd was awesome shouting and clapping for their favorites. I personally would love to watch them live every Saturday, the music is much different, you really feel everything and makes me think they all deserve to win. It must be super hard for the Judges. Sunday is Results Night this affected me so much, emotions were overwhelming, and this time the energy of the fans doubled. Roaring with their banners of who they support it was a blast and they are obviously solid supporters but doesn't disrespect other people who supports other candidates. That to me is a good sign that we can actually have a healthy competition. The announcement was the most heartbreaking of all, somebody has to go home, people have different opinions especially on social media sites but then again they based the results on the voting power of the people. At the end of the day, this is still a competion and there could only be one winner. But for me, the important thing is the friendship that they built, the X-Factor family that they learned to love and the experience it gave them to do much better. It will not end here, opportunities will be everywhere, it is up for them to grab it.